Liverpool striker Mario Balotelli in future doubts Liverpool manager Brendan Rodgers has revealed that he is uncertain whether Mario Balotelli will be at Liverpool next season. Liverpool manager Brendan Rodgers has revealed that he is uncertain whether Mario Balotelli will be at Liverpool next season. Liverpool signed the Italian last summer for a fee around £16million pounds but the former Manchester City failed to prove himself at Anfield. 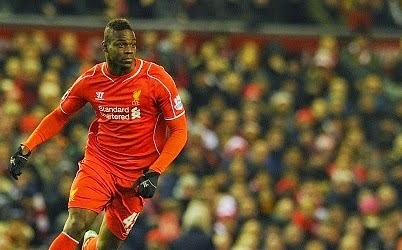 Balotelli was dropped out from the squad of preseason tour to south east Asia and Australia. Currently, he is training at Liverpool training ground Melwood. The former AC Milan striker stared only 10 Premier League games last season for the Reds and netted only a goal in them. Meanwhile, he made some of Liverpool fans angry when he congratulated his former clubmate Raheem Sterling on his debut goal for his new club Manchester City. Rodgers who was asked regarding Balotelli’s future at Anfield replied that he is not sure whether he will be a part of the Reds or not. Liverpool have already signed several attackers so far this summer, Danny Ings from Burnley, Roberto Firmino from Hoffenheim and recently agreed a £32.5million deal for Aston Villa striker Christian Benteke. These above trio and also the fit Daniel Sturridge will now be competing for the attacking role in the coming season. This will further lessened Balotelli's chances.